Plantar fasciitis is one of the most common causes of heel pain. 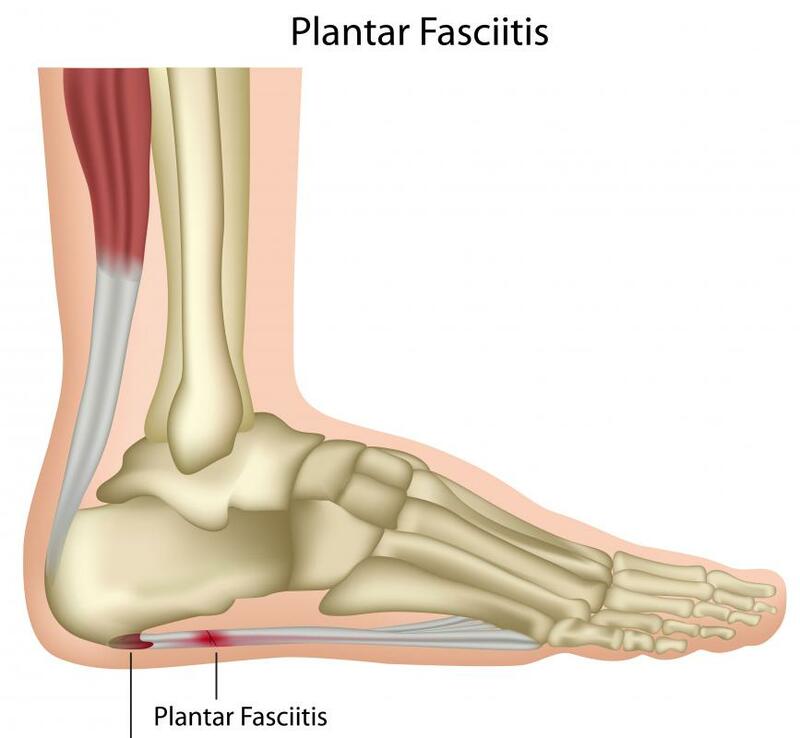 It involves pain and inflammation of a thick band of tissue, called the plantar fascia, that runs across the bottom of your foot and connects your heel bone to your toes. Plantar fasciitis commonly causes stabbing pain that usually occurs with your very first steps in the morning. Once your foot limbers up, the pain of plantar fasciitis normally decreases, but it may return after long periods of standing or after getting up from a seated position. Plantar fasciitis is particularly common in runners. In addition, people who are overweight and those who wear shoes with inadequate support are at risk of plantar fasciitis.